School authorities in their shocking lack of wisdom decided to distribute Al Gore's junk movie to scare the kids with, so will they do the same with this new Horror Film featuring David Attenborough, and sundry 'voices' and 'climate scientists'? If so, get ready to shred it. 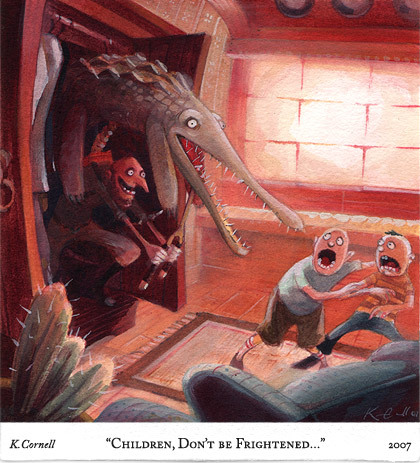 You'll find plenty in it that will scare the children, so how about turning that into dismay at adult foolishness, ignorance, and irresponsibility instead? 'One of the features of the programme is the insertion of personalised, emotional film sequences – bats dying from heat in Australia, father and son escaping from wildfire in California, and the Isle de Jean Charles. 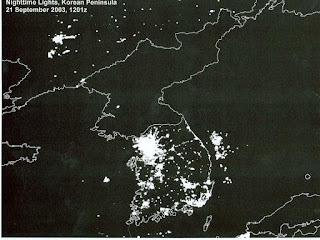 They are clearly designed to bring home to people the real effects of climate change, and make them feel guilty. At one point, the interviewee even says “we have got to do something”. 'Even by the BBC’s abysmal standards, this programme was a disgrace: an insult to the intelligence, a betrayal of the Reithian principles on which the BBC was founded, and a shameless piece of propaganda on behalf of the watermelons who would destroy our civilisation. 'Well, there you have it, done in timing with “Extinction Rebellion” protesters who are nothing more than the paid rabble of eco-NGO’s. And of course, we’ve heard these end-of-the-world scenarios time and time again from whacked-out doomsters. They didn’t come true, and we are still here. Is Your Child in a Climate Change Cult? '1. Absolute authoritarianism without meaningful accountability. 'How should family and friends act when they suspect that someone is involved with a potentially destructive group/leader? articles and other information that you may gather. How should family and friends react to someone when they know that person is involved with a potentially destructive group/leader? and positive communication and seek support from family and friends. Don't be negative and critical and remember, when in doubt, don't act. If you are not sure, seek out and gather more information. beliefs pushed into them by others. Our knowledge of the climate system precludes reliable forecasting of climate. Our knowledge of climate forecasting precludes responsible adults from pushing doom-laden prophesies based on it. Unfortunately some deeply irresponsible ones have been doing just that, and that they were trained in science adds to their disgrace in my eyes. Schneider, Houghton, and Hansen, and a few dozen close associates have much to answer for. Their doomsaying caught the attention of influential people who had long been intent on dismantling industrial civilisation, most notably Maurice Strong and the Club of Rome, and they dramatically made the most of through their influence on bodies such as UNEP and the IPCC. Ostensibly investigating 'climate change', the IPCC blatantly ignored or downplayed natural causes and became instead a lobbyist for the reduction of CO2 emissions, asserted as being the primary cause of concern. PR wheezes such as talk of 90% confidence, of 2,500 scientists taking part, of massive consensus - these all disintegrated under investigation: the '90%' is an invented, not computed, number; the participating scientists who were looking at causes of climate change were a few dozen at most; and the 'consensus' notion was added in by editors, perhaps most notoriously, Santer, choosing to completely disregard dissenting voices. The clever wheeze of preparing summary reports for policy makers, and getting these published before the main reports of substance was also a success - they knew what would matter most was what would be read by journalists and politicians! And what an impact they have had! The idea that human activity is both causing serious and harmful climate change, and that we can control climate by reducing emissions, have become the established, taken-for-granted, view. Yet neither is credible, and neither is supported by observations. 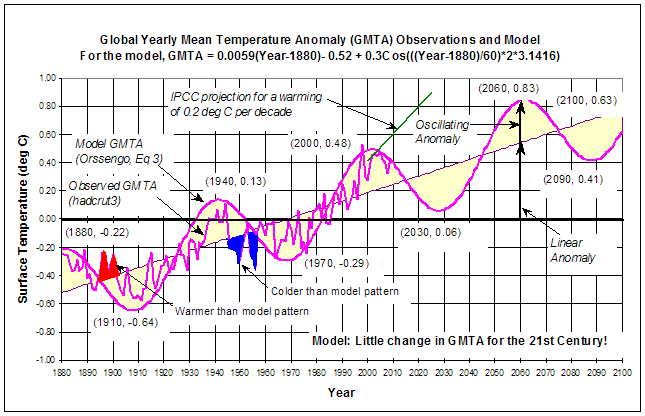 Indeed the predictions of the computer models which have provided the primary vehicle for the 'scientific' side of this alarmism, have been widely shown to be refuted by observations whenever applicable, and have even been disowned by their inventors, including within IPCC publications, as being unfit for forecasting. The UK Met Office has tried using such models for seasonal forecasting, to such dire effect that they publicly withdrew from such an obviously verifiably absurd activity. Here is an example taken from a website aimed at supporting teachers with useful materials and guidance on many subjects. It happens to be in Scotland, but I suspect there are dozens, possibly hundreds, of sites very much like it around the world. Climate change is widely seen as the most serious threat facing our planet in the 21st century. Scientists have developed sophisticated climate models as they attempt to accurately predict how the Earth’s climate will change this century. A key question is ‘how much will the sea level rise?’ In Scotland we are warmed by the Gulf Stream but what happens if the Great Ocean Conveyor shuts down? Our actions will decide the future of the Earth’s climate. By taking action, conserving energy and using green technologies we can help to reduce our impact on the planet. As responsible global citizens we have to try to make informed choices and decisions. Scotland is a small country in a world of over 6 billion people but we have an important role to play in tackling climate change. The Intergovernmental Panel on Climate Change (IPCC), representing the views of thousands of scientists across the world, produced its authoritative Fourth Assessment Report in 2007 which summarised the huge amount of research taking place on climate change. Let us look into this further. 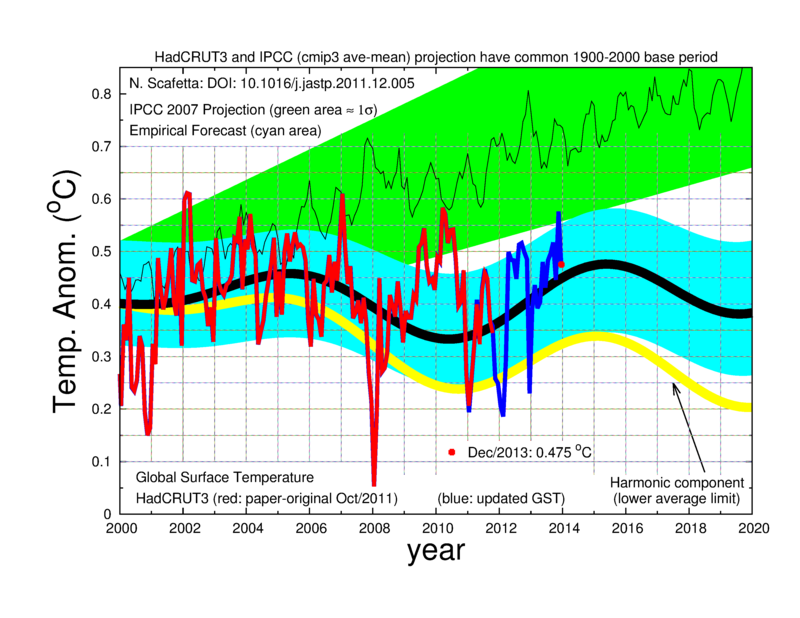 First , does the IPCC make 'predictions'? The irresponsible 'experts' who wished to scare us with the outputs of the computer models they set up to scare us, and apparently themselves will not be here to be ridiculed for their grand finale scenarios in the 22nd century. But some of them have made the PR mistake of making more readily verifiable forecasts, or 'projections', and others, given their claim of a dominant impact of CO2, can be extrapolated backwards with some plausibility to get an idea of what we ought, on average, to be seeing now or in the near future. Nature has not been kind to them - the Himalayan Glaciers Fiasco will take a while to fade away from vivid memory. On top of giving them immature and excitable personalities, Mother Nature has given us a display of weather events that suggests she doesn't care very much for the alarmists and wishes to mock them at every turn. The humour of this, a kind of Universal Gore Effect, is soured more that a little by the harm these people have caused, especially to poorer people everywhere, and the damage they are doing to the young with their scaremongering. 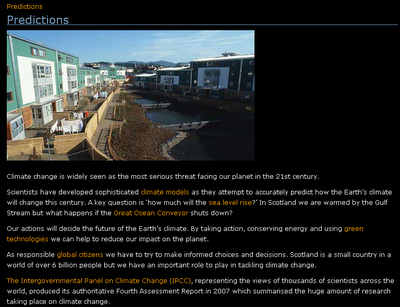 That resources site for teachers in Scotland would do well to think again about accepting the IPCC at its own evaluation of itself. This is a dangerously naive view of an organisation which has already caused a great deal of harm to society, and which has played an integral part in the most astonishingly successful corruption of science we have ever seen. Second note added 5/4/19: adding the above note somehow led to this post being republished as a new one. I can't see how to reverse that and return it to its original date (8 or 9 years ago?). So, here it is again! Still reads ok, albeit a bit wordy, I think. Sadly, some of the links no longer work - I'll highlight them above, and try to find alternatives. I've now also changed the title of the post. Previously it highlighted shoddy materials offered to teachers in Scottish schools on climate, but the key link for that no longer works. Note added 6/4/19: I think now that this post may have been in my small set of draft posts, and had not been published before because I had deemed it not yet worthy. I currently have another 9 draft posts, and I have resolved to take more care of them in future! The above quote is just part of the first paragraph of a memorable response by Professor McKitrick to a request for his thoughts about Earth Hour. It can be downloaded as a pdf from here. The inhumanity of the multinational corporation now known as WWF is becoming better known. 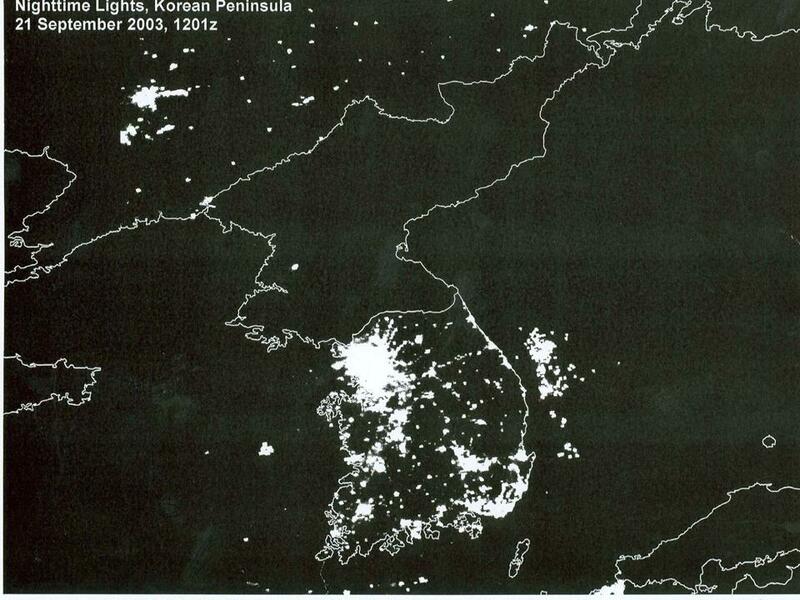 Earth Hour was one of its inventions, and about as far away from being a 'grass roots' initiative as you can get. Why does the WWF not have its corporate headquarters there? 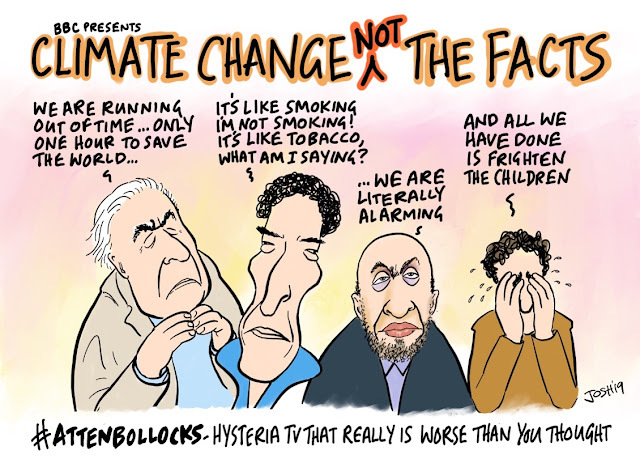 Greta and the Two Degrees: can they help calm this climate-troubled teenager? 'We’ve done the 2°C experiment … so where are the climate catastrophes? Now that temperature history of course is only for Europe, but it is a pretty big area. The pioneering climatologist Hubert Lamb, for example, thought it could provide insight into global climate variation. It may also be worth pointing out that according to other records, the Earth climate system experiences an average surface temperature jolt of about 4C or so every year between January and July (and again, of course, between July and January in the other direction). The 20th century average for January being 12.0C, and for July 15.8C according to these folks at NOAA. Those being averages, we can speculate that some years see even larger jumps than 3.8C. Now none of this is conclusive. First of all, the 2C jump was just in Europe (as so far determined), and secondly the annual cycle means we change gradually from month to month, and do not linger at a particular temperature for long. But they certainly don't suggest we are dealing with a terribly fragile system, ready to 'tip' at a modest provocation of say a 2C change in average surface temperature. These insights might just encourage Greta and her followers to pause for thought. Note July is warmer than January even though we are closest to the Sun in January each year. This is because there is a relatively large area of land pointing more directly at the Sun during the northern summer, and land heats up more readily in sunlight than does the ocean. 'The French urologist and book author describes Ms. Thunberg as “a shamefully manipulated victim” who needs to be protected, but says her radical ideas “must be attacked relentlessly”. The day of children demonstrating about the climate scare took place last Friday. It was sickening evidence of how successfully some people have managed to frighten children, and then recruit them as political pawns. 'They are taken in by the false claim that a minute amount of human-produced CO2 is effectively controlling the entire atmospheric system since 1950 and causing environmental collapse through global warming. They don’t know that there is an upper limit to the amount that CO2 can increase temperature. They don’t know that the average level of CO2 over the last 250 million years is 1200 ppm. They don’t know that every projection of temperature by the UN Intergovernmental Panel on Climate Change (IPCC) since 1990 was wrong. To paraphrase Winston Churchill, how did so few, fool so many, to such an extent, for so long? 'Greenpeace co-founder Dr. Patrick Moore condemned the climate school striking kids. “This is a fascist tactic. You are using innocent children for your own ends, and this is child abuse of a psychological nature,” Moore wrote on March 15. “It’s normally called brainwashing, and you are guilty of participating in it. Mao would be proud,” Moore added. 'It started as a quasi-religious movement, led by a few persuasive individuals who created an atmosphere of mass hysteria which infected the uneducated and intellectuals alike; then it became an intergovernmental affair, organised at the supranational level; but due to international rivalries and the failure to agree on objectives, it petered out. Its final manifestation was as a mass movement of children (egged on by adults) which ended in slavery or death by starvation for most of the participants. 'But Dr. Kevin Donnelly, a conservative commentator and senior research fellow at the Australian Catholic University, claimed the movement was the product of “biased” academics and failings in 'education. “I’ve just been on the Strike 4 Climate webpage, where you’ve got seven or eight-year-old kids barely out of nappies being involved in a strike,” he told ABC Radio Adelaide. “A lot of these students are barely literate or numerate. It is absurd, but it is also shameful and tragic. These kids need help. 'What on earth are we doing to these youngsters? Do we really want them growing up so indoctrinated and unable to use their own faculties that they cannot even check the facts for themselves? Do we really want them to grow up so neurotic that they are scared of the weather? The evidence of systematic, widespread eco-scaremongering in schools is now accumulating rapidly with the onset of 'strikes' and 'demonstrations' by children during school hours. 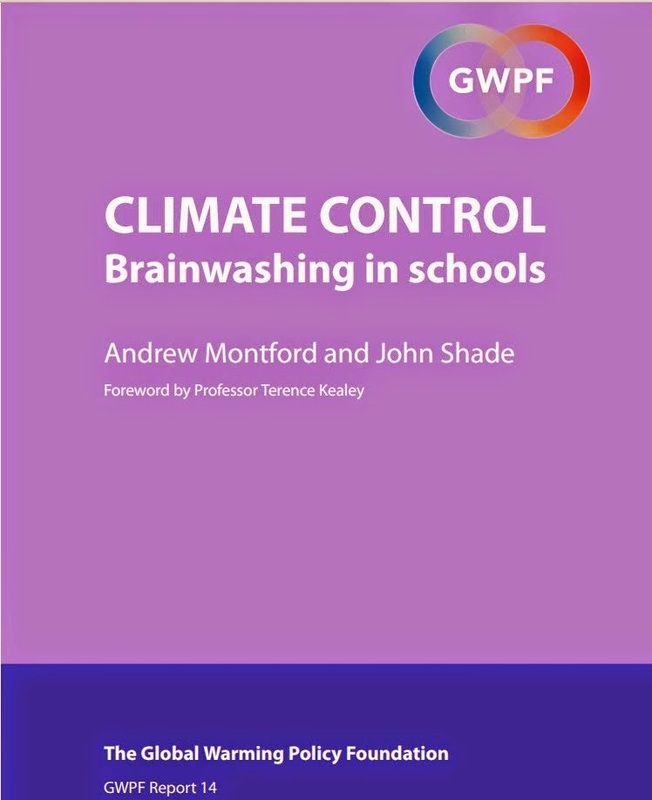 Our GWPF report in 2014 called for an official enquiry into the extent of this abuse in schools in the UK, and it is by now surely obvious to all that our suspicions and concerns were well-founded, and that our illustrative examples were no isolated anomalies. This is highly relevant to the climate-alarm based scaremongering in schools around the world today. This awful phenomenon brings shame on our institutions, and our political leaders, for their generally supine gullibility over decades of absurdly hyped climate alarm. That is bad enough by itself, but the deliberate recruitment, by frightening them, of young children to be vehicles for putting pressure on their parents, and on politicians is particularly disgraceful. 'And some prominent politicians, as well as many activists, have taken the latest reportfrom the United Nations Intergovernmental Panel on Climate Change (IPCC) to suggest the world will come to an end in just 12 years. 'Kids are fast becoming the face of the climate change movement as teenagers, ‘tweens and even younger children file lawsuits, stage walkouts and lobby lawmakers. But newly released documents have raised questions about whether the students are being motivated or manipulated. Competitive Enterprise Institute senior fellow Christopher C. Horner, who obtained the emails via an open-records request with the University of Oregon, said the presentation contained in the email is more evidence that students have been used as props. See the Washington Times link for more details. See also this WUWT piece from yesterday. 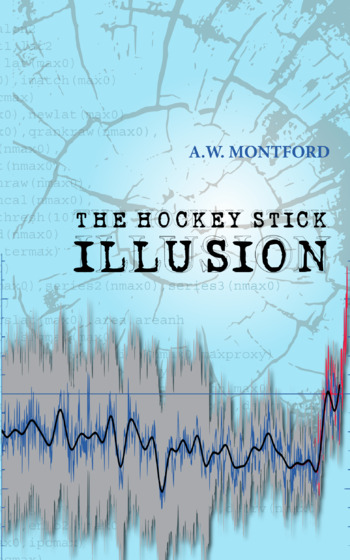 '...You currently ignore reason, evidence and science and the global political system is on the brink of a catastrophe. The devastating effects of your ignorance are felt by millions of people around the globe for we are far from reaching a common understanding of the climate. Yet this can change. Young people make up more than half the global population. Your generation have never known global warming, which has barely occurred since the late 1990s. Almost nobody is included in the local or global decision-making process. That is the nature of democracy and the reason we elect a representative. Tomorrow we can expect to accumulate more evidence of the impact of those who want children to be frightened to serve their political ambitions. It will be neither a pretty nor an edifying sight. But it is where we are today. Many of you will be marching today, demonstrating for an issue you believe to be very important. He goes to make many excellent points, e.g. 'The world has many historic consensuses that have turned out to not be so. So far, I don’t mind sharing with you, I have yet to be persuaded. My background is in science, with a smattering of economics, and statistics and I well understand the case for catastrophic climate change. I find it unconvincing. As do a raft of well qualified experts in many fields, even Nobel prize winners, and I urge you to find out who they are, and why they have reservations.